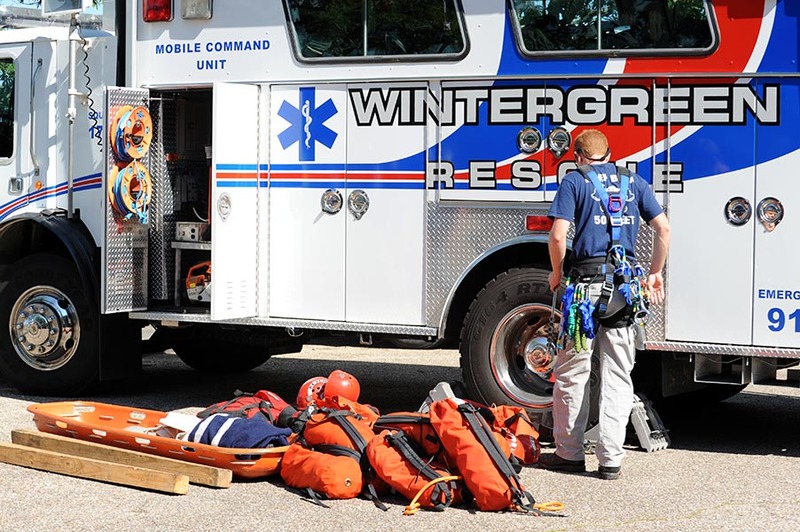 ©™2012 Nelson County Life : Photo By Paul Purpura : Wintergreen Rescue was recently named Outstanding EMS Agency within the Thomas Jefferson EMS Council. This marks the 3rd time the squad has been recognized for the award within the past 10 years. -Public relations efforts and participation in local, regional and statewide EMS systems. Virginia’s eleven regional EMS Councils conduct regional EMS Awards programs, hold recognition ceremonies and publicize the regional winners in their communities. This statewide regional recognition honors the exceptional contributions that members of Virginia’s EMS system make in their communities and help them to be more visible to the people they serve. During the awards banquet TJEMS Executive Director Steven Rea highlighted some of the achievements which the selection committee viewed most favorably. “Our work in Nelson County through “D-Shift” was emphasized most heavily. Since that initiative began over 5,000 911 calls have been handled by our crews. We utilize equipment and stations which belong to the various volunteer agencies in the County. This arrangement is absolutely the most efficient, and allows public tax monies to be spent more appropriately on care providers rather than ambulances and supplies, ” said Curtis Sheets, WF&R Chief. Chief Sheets went on to say that many local governments have tried the same approach with a few being successful. “However, ultimately most fail because the volunteers and the career crews allow their working relationship to break down. The end result is ridiculously expensive duplication. We have been under contract with Nelson County for 6 years and our relationship with the volunteer agencies is as strong or stronger than it has ever been. This is critically important because none of us can handle 100% of the workload and therefore we will all need each others help at some point,” Chief Sheets continued. Another element highlighted at the ceremony was the list list of associated services provided to the community such as the “Healthy 12-Lead” (defibrillators) program and the “Durable Medical Equipment” program. The Banquet was held in Greene County at the Stanardsville Volunteer Fire Department. Wintergreen Rescue also received this award in 2006 and 2009. Way to go Wintergreen Rescue!